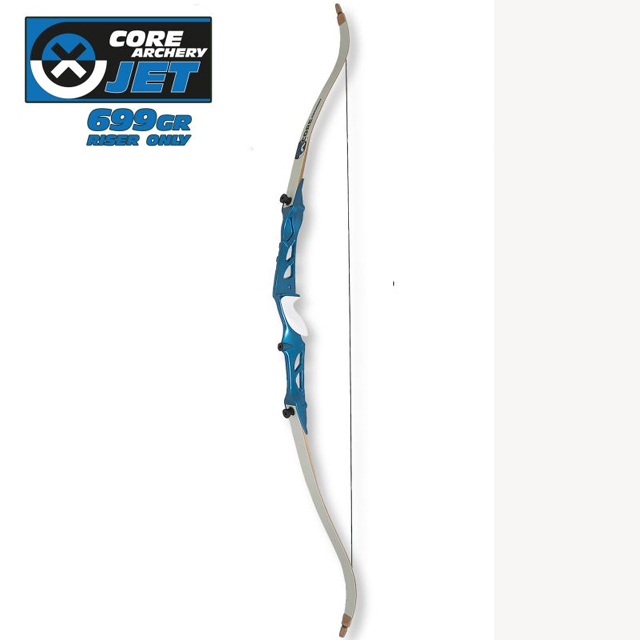 This new 24" JET riser from Core Archery is ideal for beginning and club archers. The riser is nice and light in the hand and has a comfortable grip for long shooting sessions. Ideal for bolt on limbs up to 40lbs.